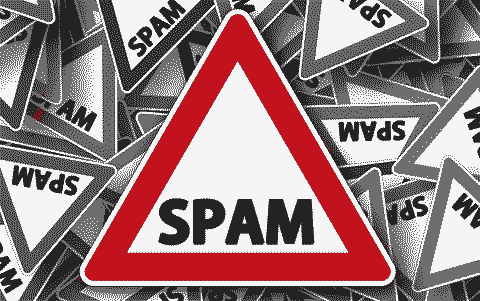 Emails and our email addresses are becoming more, and more important, and the spam merchants are getting wiser. As somebody who looks at hundreds of products per year, I am more than familiar with having an email inbox flooded with rubbish promotions and products that I have no interest in. As a result of this, I have an email account that I solely use for working. This email address currently has 39,029 unread emails (now it’s 30,030. I’ve just had another land whilst writing this) and a further 2,000 in a spam inbox. It was whilst pondering this that I decided to see what would happen if I were to browse in the same fashion as normal, but with an entirely new email address. 1 How Many Spam Emails? 2 Is Free Stuff Worth It? I should start by saying that almost every internet marketer out there is interested in having your email. It is an opportunity to notify you of new products and opportunities that may be of interest to you. It is also pretty well known that one of the main ways that internet marketers will try to get your email address is by offering you free stuff. For the purposes of this experiment of mine, I decided that I was only going to put in my email address when prompted and when there was something free on offer. By the end of all this I hope to be able to examine the content that I have received and compare it with how much time I would have to spend managing my inbox. My quest is to ultimately explore just what the real value of these free products are. I will approach my inbox as though it is also a personal one with correspondence coming through from friends and family to really get a feel for this. With that in mind, let’s jump in and look at things. Is Free Stuff Worth It? OK, let’s start this and see just how many emails arrive in my account just by looking at the offers we are interested in on the subject of making a few extra quid. A few technical details for those who are interested in such things, I have been running the email account through Microsoft Outlook’s free service. Day one was relatively straightforward for me. I looked at a product from a chap named Paul O’Keefe who claimed to offer a free product in exchange for my email address. 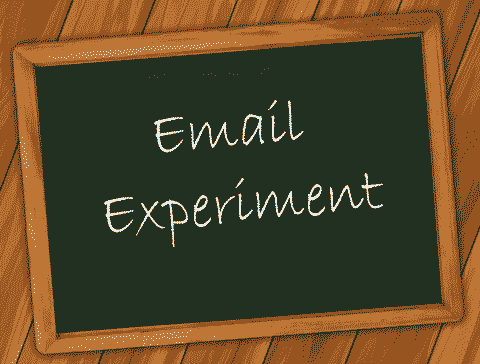 This was a perfect starting point and I happily inputted my experimental email account details. Within seconds my first email landed however it wasn’t from Paul O’Keefe, it was instead from somebody called Chris Jenkins telling me that focus is the key to achieving all my goals. I was also linked to a free WordPress plugin for creating polls on a website. There was also another call to action that involved downloading a piece of software in exchange for allowing the marketer to post notifications through my browser. Disappointed that literally the first email that I received was as a result of my details being assigned to multiple product lists, I pressed on and waited for the marketer who’s list I had actually signed up for to message me. This came through shortly afterwards and took me to the free product that I had actually signed up for. This was called Software Mastery Course. Unfortunately, there was very little mastery going on as this free product appeared to serve as a slightly different sales pitch for a rather lacklustre product. The day closed with yet another email off Chris Jenkins, the internet marketer who sent the first email to my account. Given that I hadn’t signed up for a product from this particular marketer, I opted to ignore it and take no further action. Day Two was an interesting one as my online travels took me to the Betfan group. I have written about them as a company extensively including a rather detailed article. This was of particular interest to me as Betfan and their various subsidiaries actually send out free tips to their subscriber lists so I figured that this might represent a good chance to make my new email address pay so to speak. Signing up with Betfan actually involved 6 emails landing, one each from their various services including Bet Kudos, Tipster TV and Winning Information Network. These were mostly introductory an whilst I was anticipating this kind of thing as a result of being very aware of the wider Betfan Group and their approach, had I been Joe Average, I would be very frustrated to receive 6 emails for signing up with one tipster company. I also received yet another 2 emails from Betfan over the course of the day meaning 8 in total. Just three days after starting my experiment, I received 10 emails in a single day and this was before I looked at my spam inbox. This actually brought the total emails up to 14 for the day. Even more worryingly is whilst I could identify most of the email sources (although Chris Jenkins is still sending me unrequited emails). There have been numerous emails from the Betfan group, some of which have offered me free tips. Had I followed their advice, I would have made a profit of 5.88 points (including a 6/1 winner) which would mean for the first time, that my free emails have actually demonstrated any real value. By Day Four, Outlook had started to filter out most of the emails that I received as spam, automatically putting them into my junk box (however this did still involve 9 new emails today). This is fortunate in many respects as I received yet another email from somebody that I had not subscribed with. Interestingly (or perhaps worryingly), the email that I did not recognise was advertising a product from the Betfan group. The other emails that I received were further invites from people I have already subscribed to. They were all inviting me to sign up for yet more “free” services. The free tips that were issued to me lost 0.37 points, a relatively small amount compared to the big win yesterday. Day Five saw a few new emails land in my inbox from the usual suspects as well as the emails that I receive from Betfan appearing in my junk email. This still amounts to over 12 emails today across my various email accounts. Where I had previously drawn some solace from the betting side of things with Betfan’s free tips proving profitable, today saw a loss of 3 points across their services meaning that my profit stands at just over 1.5 points. Today was a Sunday and as such, I wasn’t expecting anywhere near the usual level of correspondence from internet marketers. Betfan were quick to issue a number of emails including 2 free tips. Unfortunately, these simply made for a loss of 2 points meaning that I would now be in the red with them as well. It has been almost a week since I started monitoring what kind of thing I get through in my free emails as well as what to engage with. I was rather astounded to find that there were over 18 emails to look at today with only one new email address popping up. This was however expected as it was for a new service I had signed up for that day. In terms of the selections, I have incurred a net profit of 1 point today. This means that I am now 0.5 points better off, but my confidence in these free tips has definitely been knocked. Today saw just 9 emails that I had to go through. Half of the amount received on the Monday, although still a lot in an afternoon, especially if you take the time to read them. There were no emails from new products which I expected as there hadn’t been anything new that I had registered an interest in. What I did find interesting however is that in just over a week, the services I had signed up with were already starting to offer me new products and affiliate products. This is a long way from the content that I signed up for. In terms of the free tips, there was just a 1 point profit meaning that over the course of this experiment, I would be 1.5 points up. Wednesday marks the first day for some time where my email has seemingly been forwarded to somebody else. The product that was on offer was entirely unrelated to the stuff that I have looked at before now or expressed an interest in. It also brings the number of emails per day up to 10 which means that the number is slowly creeping up, exactly what I was worried about. In terms of the free tips that I have been receiving from Betfan, there was an astounding 7/1 winner which even losing on the two other bets leaves me in a position of 6.5 points of profit. At £10 per bet, I would currently be £65 up which isn’t bad for a week and a half of reading my emails. Today marked another 9 emails landing, most of which are no longer relevant to what I was interested in. Betfan continue to be the biggest hounds with 6 emails from them although the free selections that they issued were profitable once again. A 3 point winner and a 1 point loss means that I would currently stand at 8.5 points of profit. Still not substantial, but a very good figure none the less. At this point, the emails that I am receiving are hardly worth my attention as they have almost nothing to do with the products I originally expressed an interest in. For the sake of posterity I have decide to visit a few of the free products that I am being offered. These are mostly WordPress plugins that already do what my existing website host does or add very little in the way of value. I have to hold my hands up and say that there was an interesting piece on Facebook Live, a new platform that I have been aware of but not necessarily followed. Whilst I was less than impressed with what this particular marketer was suggesting, it did serve as a reminder that this new piece of tech is there and the possibilities for it. Going back to the horse racing tips which are without a doubt my favourite part of the day, there was a 2 point winner which ultimately was offset by 2 points of loss. I am nearing the end of this two week experiment and honestly, I will be glad to see the back of this kind of email monitoring. Honestly, reading and scouring every last email you receive and keeping track of what you have subscribed to and what you haven’t can be overwhelming. I would say that I am now entering double digits in terms of my daily emails which, if you were to put side by side with your everyday emails that you actually want to read, would be a hell of a lot. As an aside, Betfan’s free tips delivered once again with a clean sweep generating an outstanding 10.25 points of profit. By this point in the experiment I have given up trying to keep on top of things because I simply don’t see it as being viable. I will explore all of this in my conclusion, but today has produced double digits in terms of the emails with new names appearing and increasingly aggressive marketing from those services I have signed up for. I have in fact received 3 different emails from just one marketer trying to draw me into his sales funnel. The free horse racing selections I have been receiving produced a none runner and a 1 point loss today. I have given up looking at the emails from the marketers and have pretty much written off the email account in question. There were 2 free bets that I received, both of which lost. This does however mean that over 2 weeks I have ended with a profit of 15.75 points. Honestly, it has been a surprisingly exhausting two weeks researching this project. In my own line of work I filter through hundreds of emails per day, however I barely glance at most of these simply aiming to see if it is something that is worth looking at. Taking the approach of somebody who is looking to get started in making money online however makes the whole experience dramatically different. It has been very eye opening being forced to look at internet marketing from the other side of the fence. When I started out with this I wanted to see whether or not there was value to be had in signing up for free products and at the end, I feel that this is a very mixed thing. Purely based on the 14 days I have ran this experiment for, I would be forced to conclude that there is hardly any value to be had in terms of the products I have looked at. I do however know from personal experience that there are plenty of good quality free products out there that can massively enhance the tools that you have at your disposal. By far and away the biggest surprise has been the free tips that I have had. In 2 weeks I could have made over £150 using £10 stakes which isn’t a bad profit in anybody’s book, especially considering there is very little work involved. That having been said, these numbers have been based on some very generous odds, however even losing 5 points would still mean £100 to £10 stakes. Of course this could have just as easily gone the other way so as with anything gambling related online, only bet what you can afford to lose. By the time I have finished writing this up, I have had over 200 emails land in the inbox that I created and this is in just over 2 weeks. Honestly, this is more than I could manage actually taking the time to look at what marketers are offering me. That having been said, if one were to unsubscribe to those emails that weren’t going to add value to my inbox, this would be much more manageable. So is it really worth signing up for free products? I would conclude that it is a bit of a reluctant yes from me. There is no denying that a lot of what is on offer is crap that serves as part of a rubbish sales funnel. You can always tell this kind of thing because it constant refers back to selling you another product. The fact is however that there is plenty of content that is there because a marketer wants to show you that they can add value and these are the ones that I would find myself considering products that I would pay for. If I may put on my business hat for a moment instead of looking at this from a consumer point of view, this is something that is massively important for marketers to take away. There is no denying that a free product is a great way of keeping people in your sales funnel, but you have to give them something that is of genuine value. Putting together a 45 minute advert for your product and labelling it a guide to affiliate marketing is only going to turn people off. If on the other hand you deliver exactly what you promise, they are more likely to buy your actual product with very little prompting. One of the things that did jump out at me as a customer is just how many lists you can end up on just subscribing to one product or service. This was really noticeable with Betfan who instantly bombarded me with emails from their various subsidiaries. As somebody involved in the industry and who knows their marketing tactics well, this was expected but if I was a casual punter I would think that my details have been sold on. 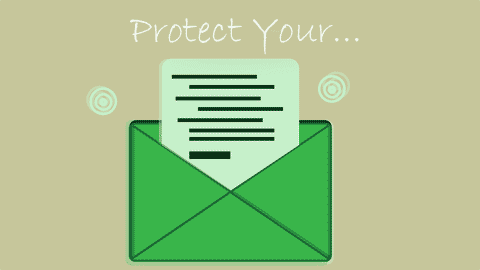 I have tentatively titled this article “How To Protect Your Email From Spam”, when looking for freebies, and free ‘stuff, and this value changes depending on who you ask. To a genuine marketer, the value of your email address is priceless. To a scam artist, it is worth as much as somebody will pay for it. This is something that you need to keep in mind when handing this information out. Whether you perceive it to be or not, your email address does have value and you should keep this in mind when you trade it for a “free” product. My final piece of advice would be that the unsubscribe button is your friend and if somebody is abusing your email, then it can be better to get off their lists rather than hanging on in the hope of getting something for nothing. You must control what arrives in your inbox, because if you don’t then any useful information will definitely get hidden amongst most of the rubbish. Also, be aware who you give your email address to, because in this day and age, so very many websites sell such information to a third party in the pursuit of profit, and then the spam emails will arrive thick and fast. And the definite final piece of advice is to get a ‘throwaway’ email address for all the offers you are interested in, which you can easily switch off if required, and keep your main email address as ‘clean’ as you possibly can.